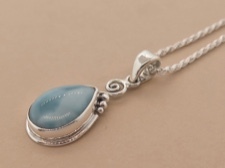 One of our signature designs handcrafted for Caravan Gallery in Bali out of our incredible collection of hand selected Larimar cabochons. 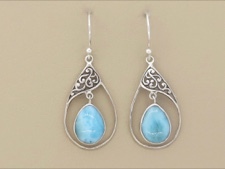 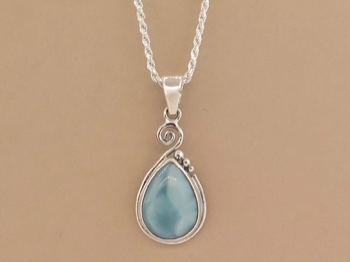 Larimar is a rare gemstone found only in a mountainous, hard to access area in the Dominican Republic. 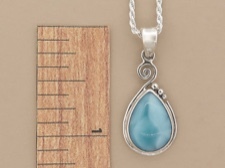 We love its ethereal blue color that reminds us of our incomparable seas and skies.